Hello all, I hope all is well wherever you happen to be reading this. So my internship is over and I am again back at Bard, and while I miss parts of DC, particularly the Indian food restaurant that I ordered lunch from quite frequently (Naan & Beyond, if you’re in DC check it out), it is good to be back in Red Hook. So I guess it’s time to reflect on “lessons learned” at my internship. One of the biggest lessons I learned at NRDC was the importance of communicating a narrative that can engage a wide audience as an advocate. The metaphor that was brought up around the office a lot was the idea of the brownie box. The metaphor works as follows. 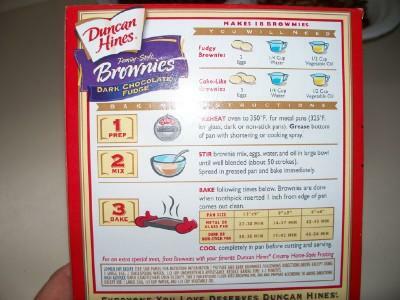 In the baked goods isle of any worthwhile food store there is brownie mix for sale, on the back of the brownie box there is a list of ingredients and nutritional information all of which offer compelling reasons to not buy the brownies and if people read and considered that information then the number of brownies sold would be much lower. 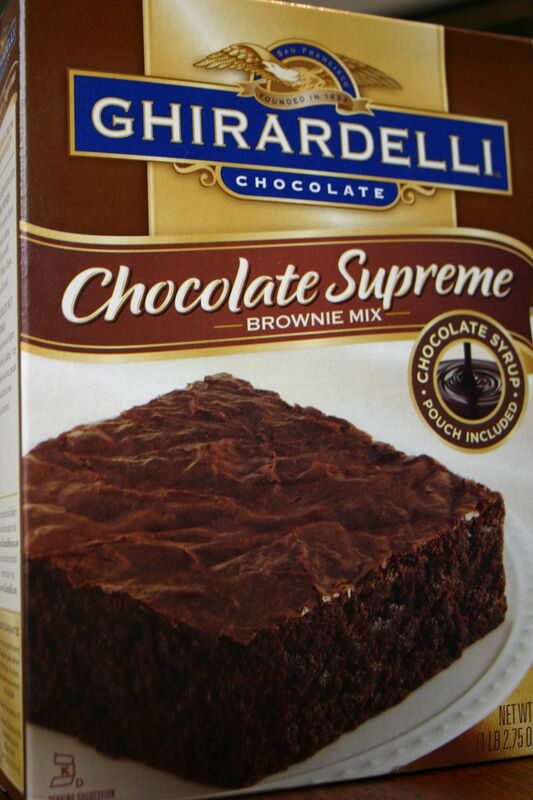 However on the front of the brownie box is a well framed picture of a brownie with steam coming out and words like delicious, chocolaty and gooey. The consumer sees these things first and considering whether or not to buy brownies thinks about these adjectives and the picture of the delicious brownie and often goes with the warm chocolaty argument rather than the calorie count and preservatives, despite the fact that the calorie count should be a far more relevant factor in decision making. To extend the metaphor, environmentalists are traditionally very adept at back of the box arguments; they usually sound something like this, “We are heading toward a 750 ppm world which will increase global mean temperatures by 4 degrees centigrade which will result in catastrophic changes in the earth’s weather pattern.” And while those arguments are factually correct, and often alarming, we, the environmental community, fail to realize that they don’t resonate with people who would rather hear things like “cheap gas” and “comfortable safe SUV” and “we need more oil” and thus we end up losing the public debate. Our message fails to motivate people in part because it is abstract and related to the future whereas “cheap gas” is something everyone understands and wants right now. To put it another way the warm delicious brownie is something everyone can relate to, whereas the effect of consuming 21g of fat is hard to quantify. For environmental issues to be granted greater consideration and traction we need to be better at both getting our arguments on the front of the metaphorical box as well as using more “front of the box” language. Sometimes this means connecting coal fired power plants to asthma rates rather than carbon emissions, or it may mean talking about weather rather than climate. Regardless of what form it takes the one lesson that I took to heart the most out of my internship was that mobilizing a broad constituency is key to advancing the environmental agenda, even if it means not talking about the environment as much as we would prefer. Why environmentalist fail so often at gaining public support, considering that our arguments should be a slam dunk is a complicated topic, one that even premier environmental groups struggle with. I don’t pretend to have all or even any of the answers but the one facet that really resonates with me is the truth that not everyone sees the environment in the same way we do. This is one of those truths that is both painfully obvious and hard to fully grasp at the same time. Almost everybody who works as an environmental advocate views considers the environment as an interconnected ecosystem whose value is intrinsic. However there is more than one way to view the environment, and as much as it seems alien to us why people would view the planet as a resource to be exploited or as a small series of protected areas, if we are ever to bridge the gap between the metaphorical “us” and “them” we need to be able to speak “their language” rather than just ours. Environmentalists certainly have the environmental side of our argument down pretty well. We know that green house gases are warming the earth, we know that oceans are acidifying and that species are going extinct. What we need to get better at is presenting that information in way that engages our audience rather than just assuming that they care for the same reasons we do. Tags: communication, internship, NRDC, washington d.c.